Hey guys, my names Cj aka dropoutbearYT. I've been playing this game since release but fell off around 2016. I picked up the game again today, even bought some k-ching and thought about starting a live stream on my YT, just having fun doing pvp and missions with friends and randoms. Posting this to hopefully find some people to play with now that im back on, games are better with friends right? Welcome back, bro. Suggest you go to find an active guild so you can find somebody easier to go to any dungeon together. But what if you play games with your friends? Welcome back to the game and the forums. Hope to see you around these parts. 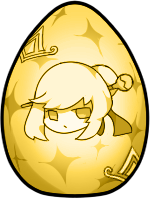 Hi there, welcome back to Elsword! "I'm going to spend my life proving my love and the Pythagorean Theorem."